For non-technical car discussion and general banter and jokes. Keep it clean(ish). 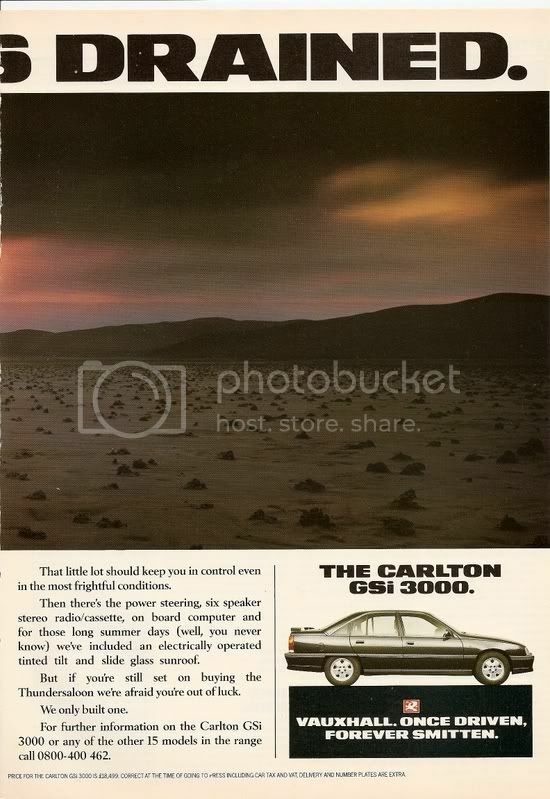 As a young boy growing up in the 1980's, i was easily impressed with this V8 Monster Vauxhall had created and then used to promote and sell its then flag-ship Vauxhall Carlton GSi 3000's....Maybe this car is to blame for my Carlton obesession! Dressed in spats, spoilers and covered by a brilliant white Kevlar overcoat, the TS6000 hides a menacing Detroit 6.0Litre V8 from a Chevrolet heart. The 600bhp thrust is contained by a simple yet effective live rear axle and halted by stunning 14inch frying pans that double up as brake discs. This was a serious blood and guts racing car! Its acceleration was awesome, it will hit 100mph from rest in just 8seconds. It can do 0 - 168mph in less than 25seconds, the mundane 0 - 60mph consumed in around 4seconds! 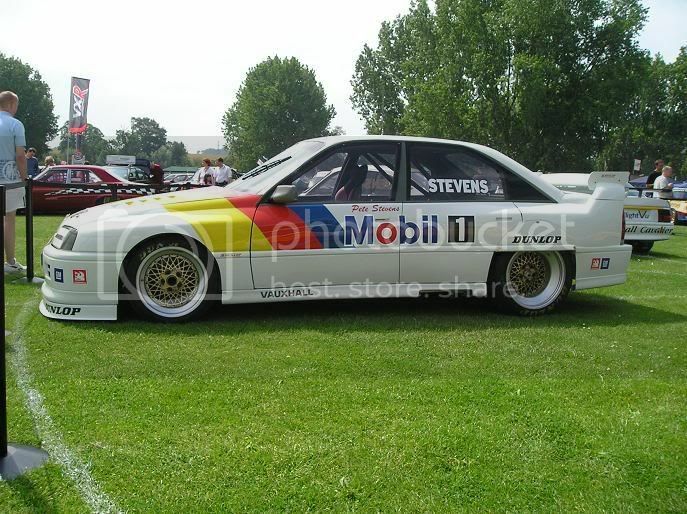 This Carlton TS6000 was built by Dave Cook Racing Services, Sheriff Hutton, York, around a genuine Carlton bodyshell. 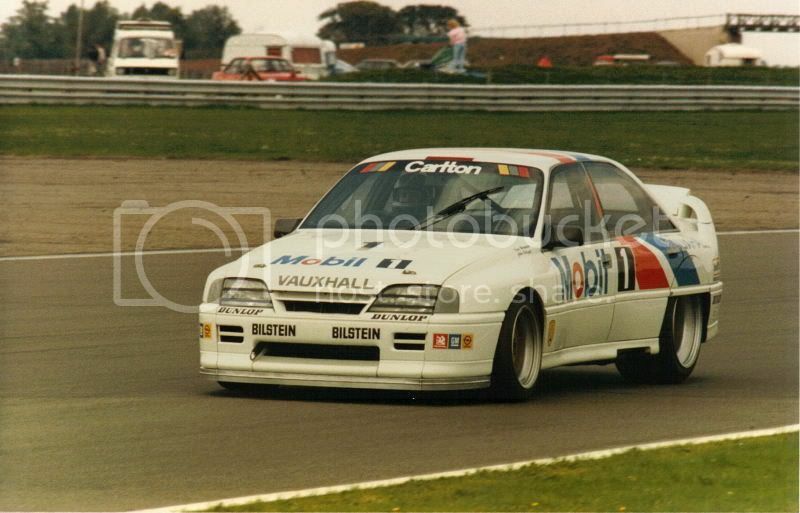 This was a Carlton created by a factory and Dealer funded team to win the club racing Thundersaloon series. 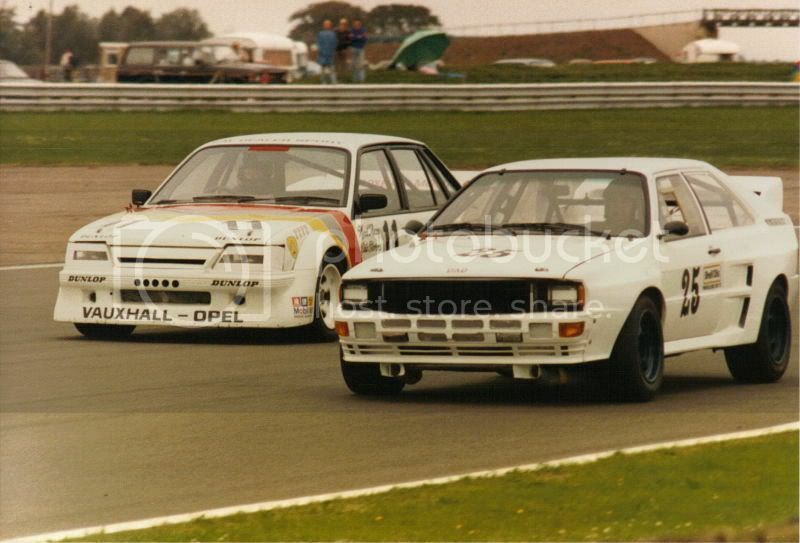 A search of the net will show you how successful Vauxhall Dealer Sport, racing manager Bill Cleland, Dave Cook Racing Services and Swindon Race engines have been. 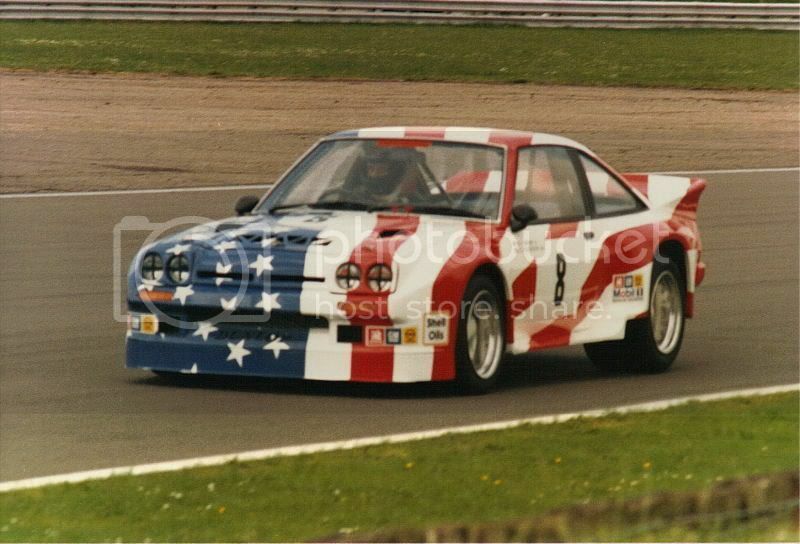 The car was built up for some appearances in the 1987 Thundersaloon series, in fact it won 4 races for John Cleland and Vince Woodman in that exploratory season, but the objective was always to prepare thoroughly for a full assault on the 1988 championship which paid dividends. Externally it is all in Kevlar panel components, the appearance originally styled by the factory people at Luton with as few alterations from the standard Carlton shape as were practical for a racing car. The basic shell is in steel and is genuine Carlton, no stretched wheelbase or anything like that. 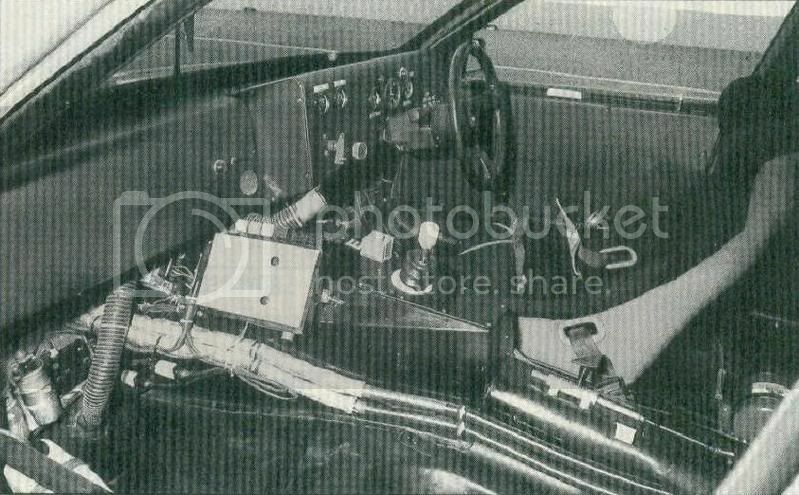 Even the door frames are in steel, but the shell itself did have to be modified around the central transmission tunnel to accept an Xtrac-Hewland and DGB 5 speed gearbox. That is the same type of box as is used in Indy cars and has the handy feature of being able to drop the back off the gearbox for quick gear ratio changes. The clutch is a triple plate job and you will find the differential does not have a limited slip action, just a solid and permanent lockup. The TS6000's body also had to be modified at the rear. In the middle it had to accommodate a live axle layout with what was regarded as a pretty straightforward 4link, Watts linkage, coil and damper layout. Up front the Carlton uses a strut and roll bar system derived from the Holden Commodore the team raced as a Senator back in 1986. 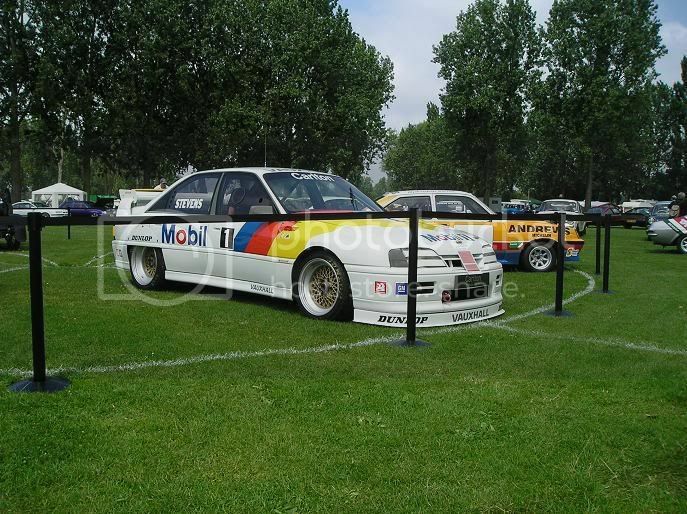 Both ends were damped by Bilstein and employed substantial roll bars to restrain an 1150kg race weight. The rear bar adjusts from the cockpit through a spectrum of 7 numbered positions. For anyone curious about the origins of the rear axle, which carries twin oil coolers.....crawl underneath the TS6000 when you see it at shows and you'll discover a familiar axle casing carrying the letters "F"...."O"...."R"...."D".....Hmmmm.....Nuff said there! Up front, proceedings are dominated by that V8 engine sat in the TS6000's engine bay. 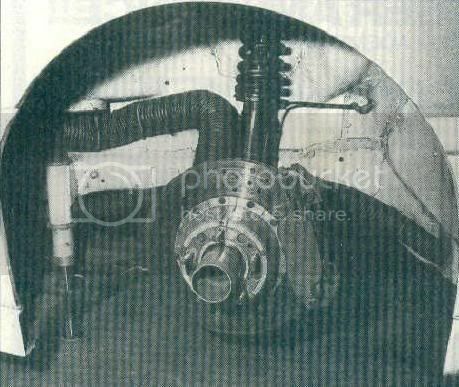 The most obvious feature is that of the exhausts which are swept forward, but Swindon engines insisted it was really the only way to get a decent exhaust system fitted to that engine in the Carltons engine bay. The exhaust note was restricted since a disqualification at Donnington in 1988. Even after its restriction, each time this V8 Carlton woffles away from stand still, it sounds like a freight train departing! After this disqualification, a second extensive exhaust note reduction had been achieved courtesy of a vast silencer box before the equally beefy twin side pipes on the passenger side skirting of the vehicle. The car no longer has this exhaust set up as you can see by the two rear pipes sticking out of the TS6000's slotted rear bumper! The engine is based on an all alloy block drawn from the Chevrolet Sports options. Bore and stroke is approximately 4inch bore and exactly 3.48inch stroke to achieve its capacity. 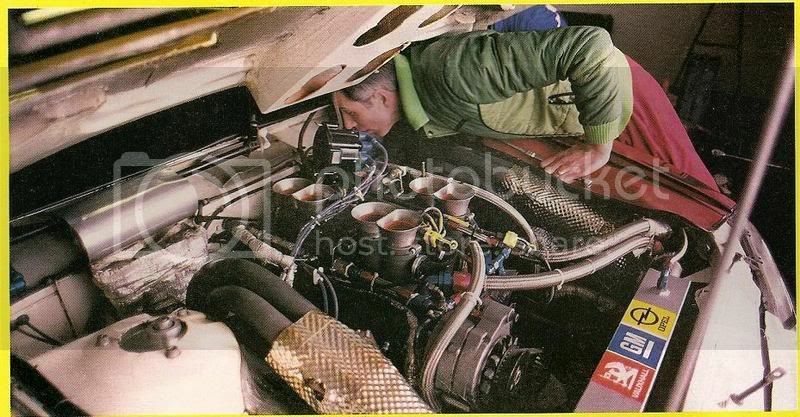 Not many people know that a second engine was kept as a spare if required, but this was just 5.7Litres with much the same top end power as the 6000cc unit but with a lot less Torque with a comparatively primitive injection and management system. The 6.0Litre is a stretched version of the regular 5.0Litre/5.7Litre (302/350cu inch) Chevrolet family unit but sports orientated in alloy rather than production cast iron. The heads are also alloy Chevrolet stock that are nicknamed "Bow-Ties" to those in the know. Most of the internals are American classics like Carillo connecting rods and BRC steel crankshaft. The Swindon assembled V8 hides beneath the bonnet fed cold air induction trunking and box to feed the injection stacks and Hillborn inlet manifolding. It operates a 11.7 : 1 compression ratio after earlier problems with detonation had to be tackled to improve reliability and performance. That compression ratio comes courtesy of Cosworth pistons which were shipped back from the States to the UK. 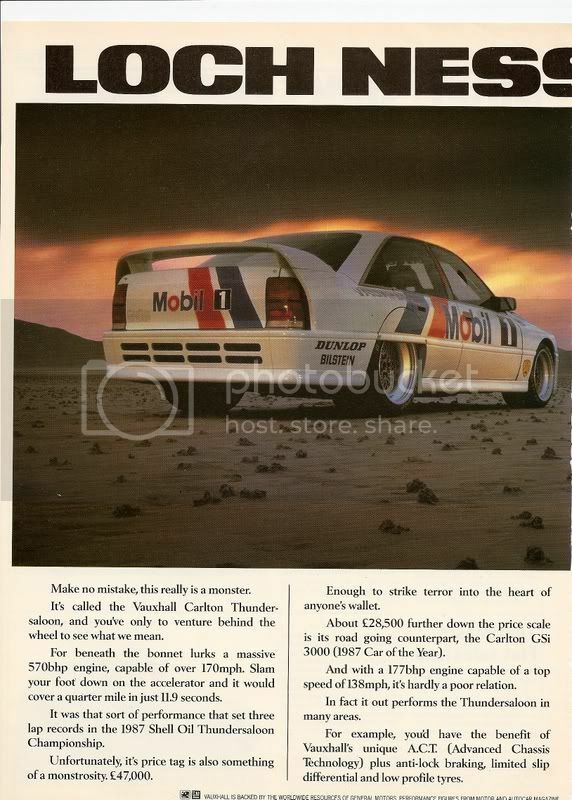 Maximum power is quoted as 600bhp around the rev-limiter upper setting of 7200rpm with support of at least 500lbs/ft of Torque at 4500rpm but there was still over 450lbs/ft of Torque available at 4000rpm! There are two separate ignition and injection management systems above the passenger footwell on the TS6000. There was a unique twin coil and amplifier system but you can also see that the spare basic system relies on a single coil. Only when the twin coil system is used does the management set up have full microprocessor mapped settings for maximum performance. Externally the view is dominated by the front splitter spoiler and similarly wind tunnel developed rear wing which was the 3rd airdam/spoiler combination raced on this vehicle. 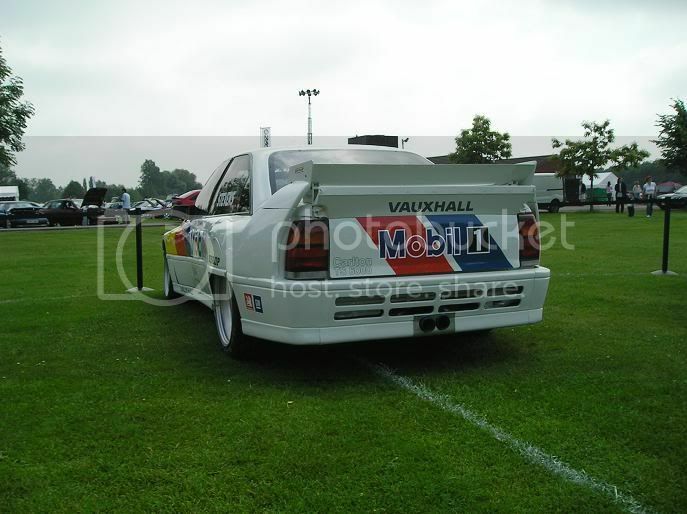 Originally it had a Carlton GSi styled item which was replaced by a Capri RS3100 ducktail style item. The only answer to gain the required rear downforce was the 3 position adjustable blade, end plates and subtle glass fibre and alloy ridge along the length of the rear bootlid that you see today. Those Dzus-detatchable rear quarter panel spats partially cover Jaguar Group C1 tyre dimensions. BBS supply the 19inch diameter x 15inch rear wheel and 17inch x 12inch up front. All of the wheels are clothed in Dunlop rubber and owing more to Jaguars World Sports Car programme than any other inspiration. That meant Kevlar construction radials....Not cheap i bet! 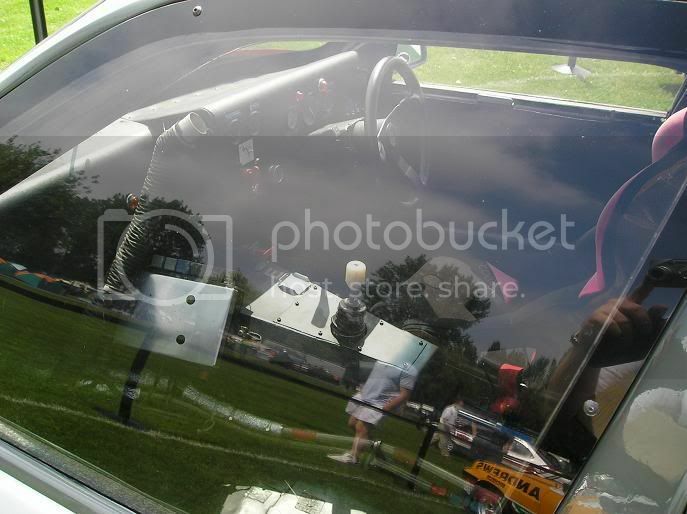 Steel and alloy fabrications were a Dave Cook Racing Services speciality, one that's emphasised by the construction of their own roll cage and the contents of that vast boot. 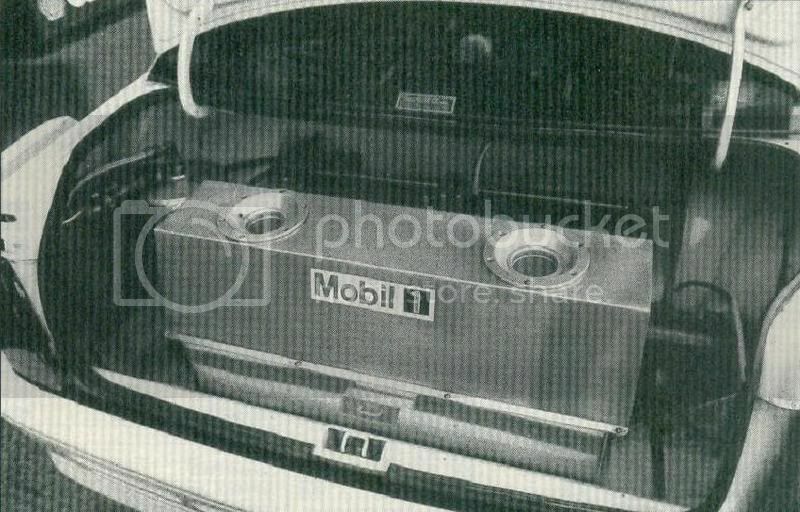 When opened it reveals a 120Litre fuel tank and a dry sump lubrication tank, but to trace all the wanderings of the roll cage you would have to search right up to the front and rear suspension mounting points! 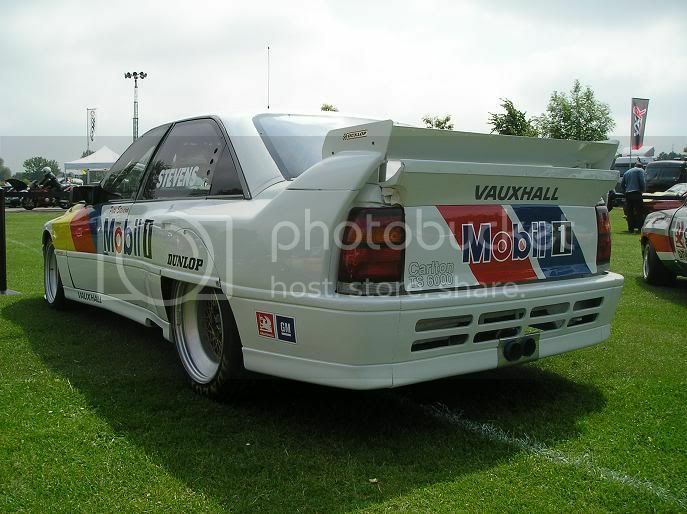 Run under the banner of Vauxhall Dealer Sport, this car won the British Thundersaloon Championship in 1988 with drivers John Cleland and Vince Woodman. 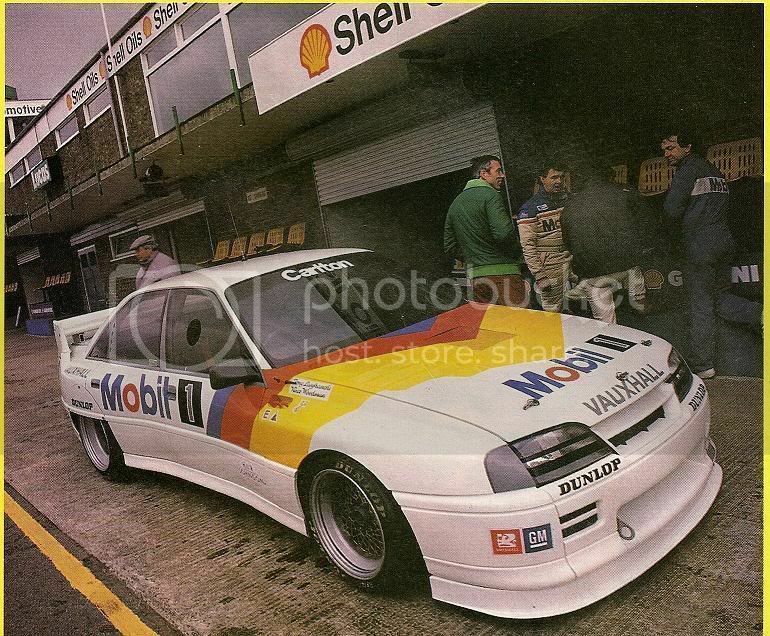 It was built by Dave Cook Racing Services around a genuine Vauxhall Carlton bodyshell, with only the minimum number of exterior styling changes necessary to make it a practical racing car. The front splitter is the original design, but the three position rear spoiler was developed in a wind tunnel to generate increased downforce. Behind the after-market chunky steering wheel, you'd be grasped in place by Sabelt 6 point harnesses and the OMP seat. The forwards view i guess would be exactly what you'd expect if you were the eyes of a great white whale! The outside shimmering Glacier white body panels contrast the gloom within the dark cockpit, with just 7 instruments for information, such as the things you would expect like oil temperature and oil pressure are monitored but any perspective Carlton TS6000 race car driver will have to look out for the back axle lubricants temperature exceeding 100degrees C, the warning point at which the lucky driver must click the switch for the axle coolers to come on. 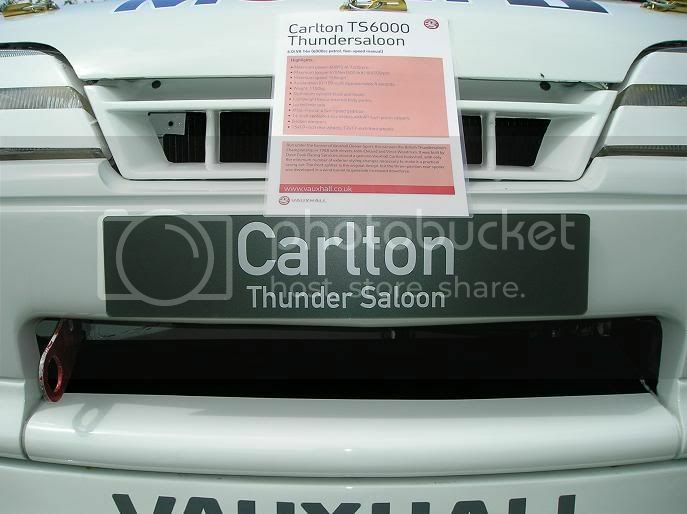 For me its a real shame that they built only one, as i'd love to own my very own V8 Carlton TS6000! Wouldn't you?? Nice write up! Was that all done by you? An awesome car, it really is. Sounds like a bit of a success story too, because reading the Omega's DTM story almost brought a tear to the eye it was so dissapointing. I don't like the rear wing modifications but I guess that has to be. The pumped guards and the splitter are awesome though. 020 Brad wrote: Nice write up! Was that all done by you? No Brad, I cannot claim all the credit for the write up as all the facts and some of the descriptive text were shamelessly stolen from a CCC magazine article i had on the car from July 1989, i just added my spin on it here and there. 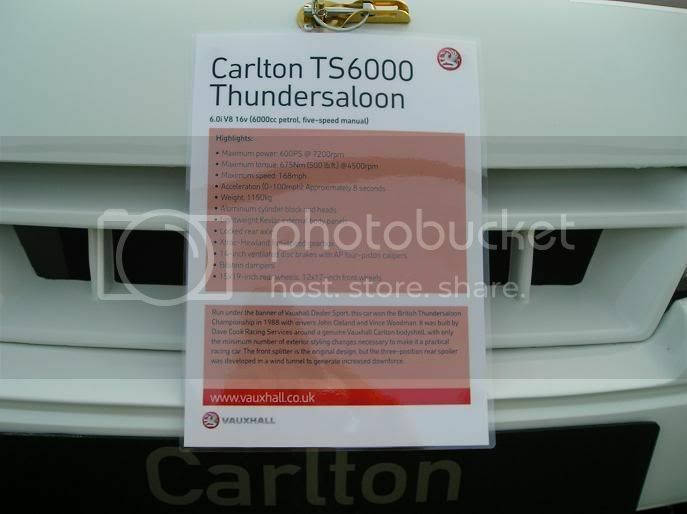 I had confirmed most of the details that were written about the Carlton TS6000 when i saw it in the flesh at Billing in 2005 and I took all of these pictures of said Beast at that car show over that weekend. I had intended to submit this write up to a car club i'm a member of for its quarterly magazine shortly after that Car show in 2005 but i never did because of various different reasons. Due to the snow here in the UK preventing me from doing anything on my car, i thought i'd dig out my old scribblings and post it up on here! 020 Brad wrote: An awesome car, it really is. Sounds like a bit of a success story too, because reading the Omega's DTM story almost brought a tear to the eye it was so dissapointing. This is what happens when the Sky's the limit concerning the budget as long as the car wins races....If only Opel had done the same as BMW, i'd doubt the E30 M3's would have been so successful. You gotta admit, Its pretty good for a car from 22 years ago! 020 Brad wrote: I don't like the rear wing modifications but I guess that has to be. The pumped guards and the splitter are awesome though. I agree with you mate.....but if works, who are we to argue! Awesome looking car - it certainly would have been great to see & HEAR it in action. 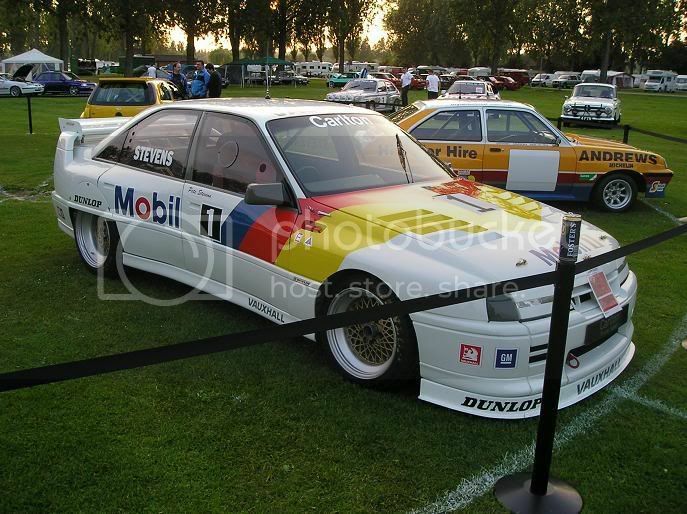 I was also interested to see the VK Commodore John Clelland ran as a Thunder Saloon in the first picture. Did that car have much success in the UK? 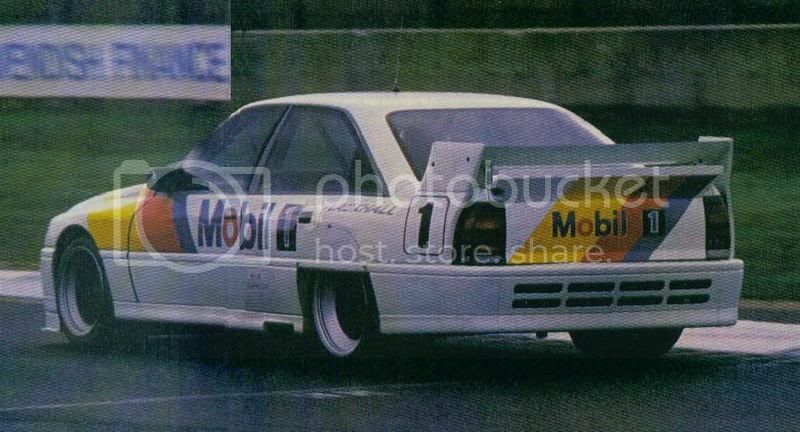 Now back in its original livery, it is one of the most revered of Brock's Bathurst winners. 014 Phil wrote: Awesome looking car - it certainly would have been great to see & HEAR it in action..
Its far from perfect Phil, but these links below are the best i can find so far mate! 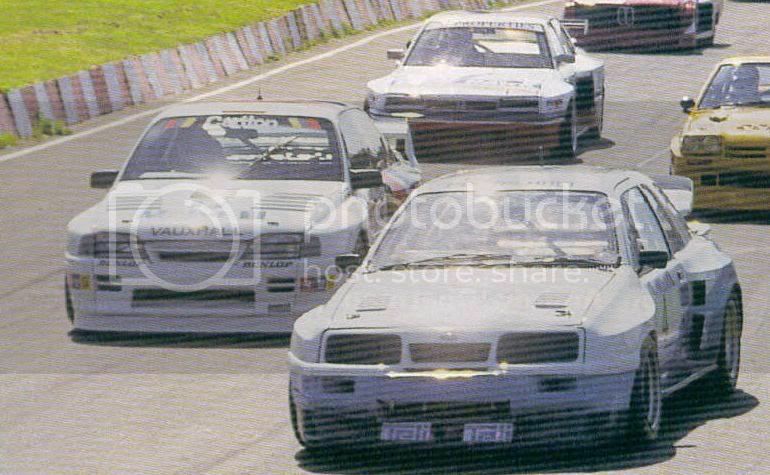 This last one /\ /\ /\ aint bad for some VK Commodore/V8 Senator footage Phil! 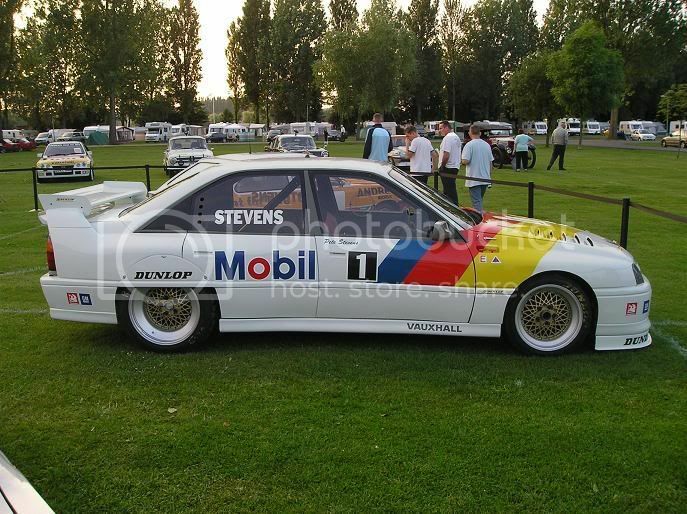 014 Phil wrote: I was also interested to see the VK Commodore John Clelland ran as a Thunder Saloon in the first picture. Did that car have much success in the UK? 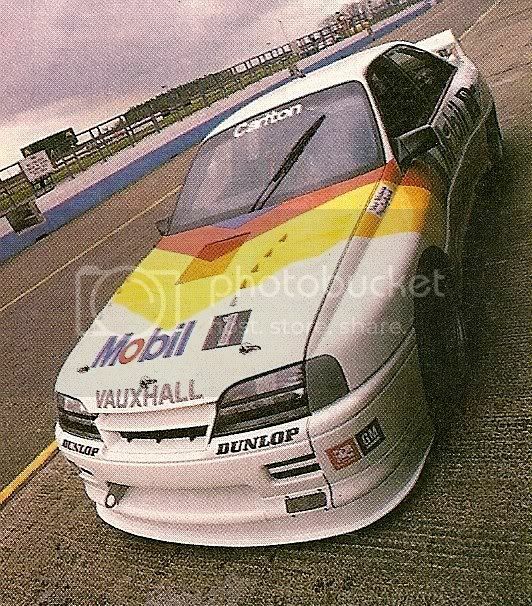 To be honest with you Phil, I know nothing about the VK Commodore/V8 Senator that John Cleland championed in the 1986 season of the Thundersaloon challenge. I was only 10 years old back then, so maybe Google's the best bet for accurate answers?? 1979: Starts production saloon racing. 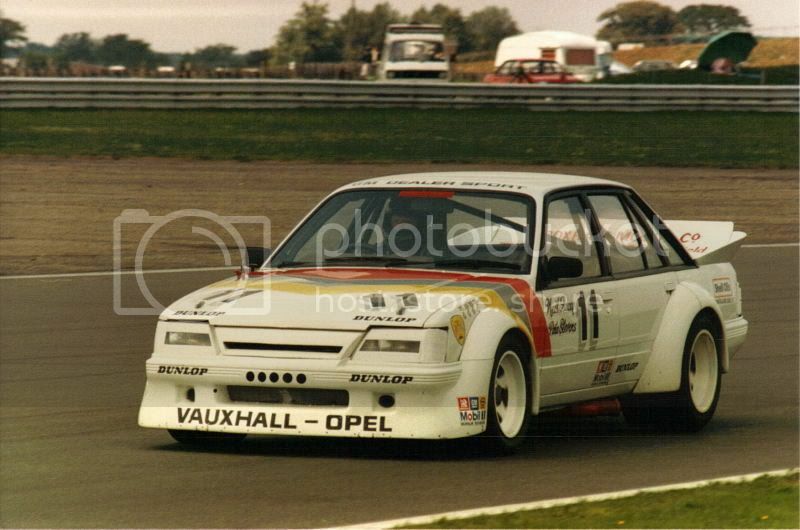 1986: Thundersaloons with Vauxhall Senator, 1st in Championship. 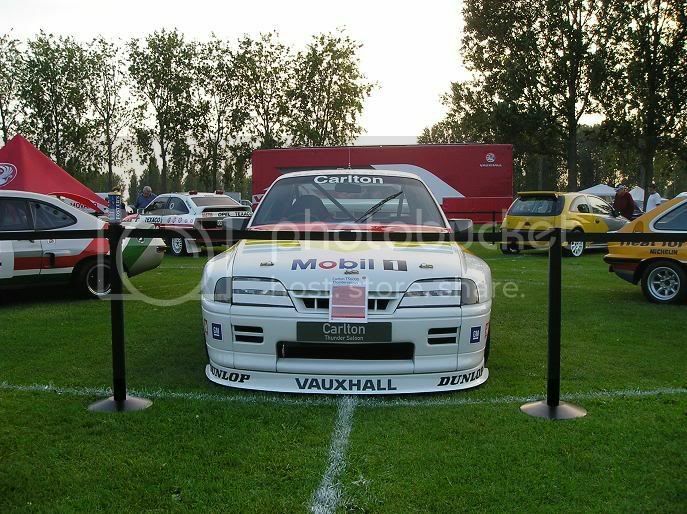 1987: Thundersaloons with Vauxhall Carlton, 1st in Championship. 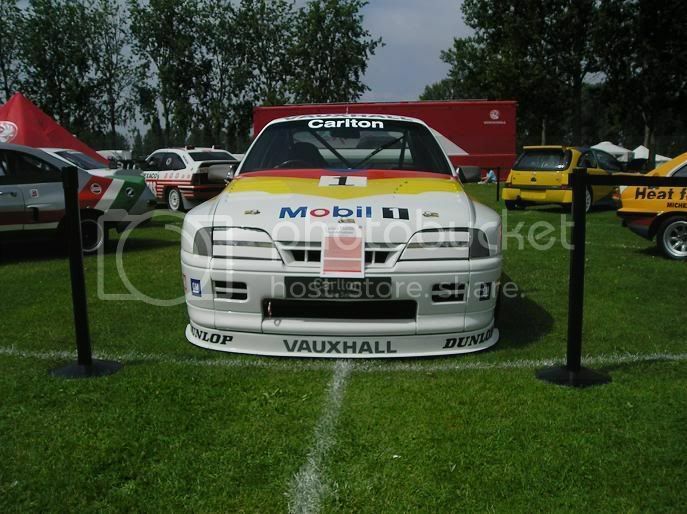 1988: Thundersaloons with Vauxhall Carlton, 1st in Championship. 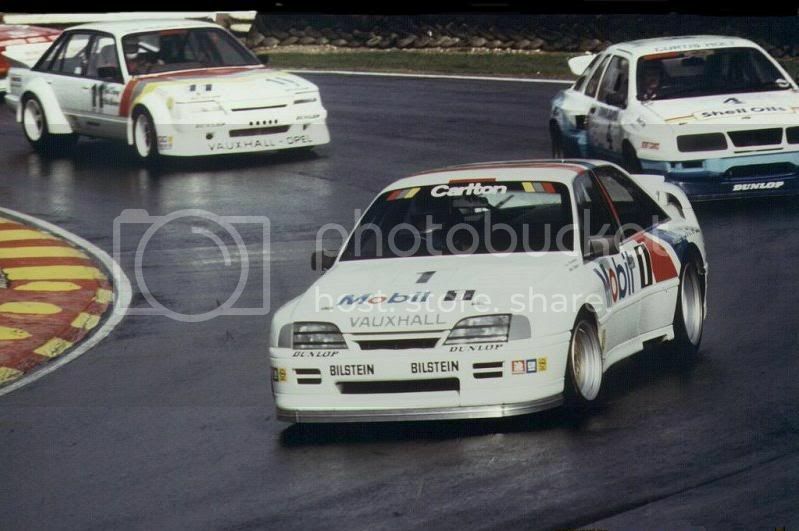 1989: BTCC with Vauxhall Astra - 11 class wins, 1st in Championship. That above is all i've found so far on the subject mate....which would suggest that it was indeed successful. 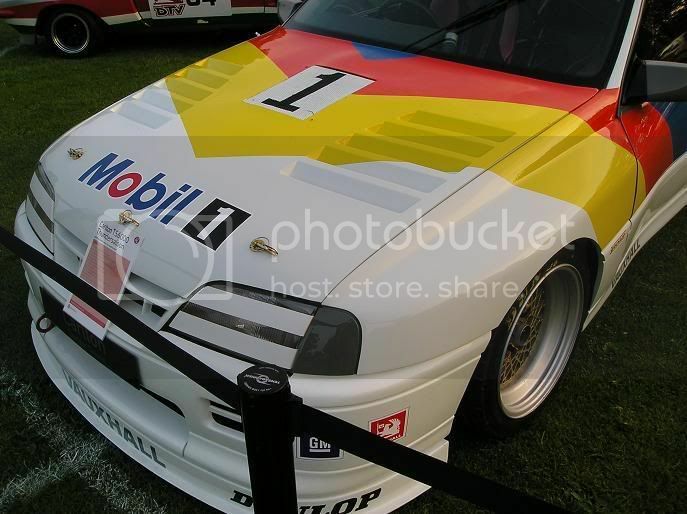 014 Phil wrote: Now back in its original livery, it is one of the most revered of Brock's Bathurst winners. I bet you know who's got the car and where it is now then don't ya Phil?? So effectively it's just a UK version of the Aussie V8 supercars? Opel Vectra GT 16v AKA: "Evil Opel", AKA:"The Chavalier"
021 Chad wrote: So effectively it's just a UK version of the Aussie V8 supercars? I suppose you could put it like that Chad but it would be kind of selling the Thundersaloons short. 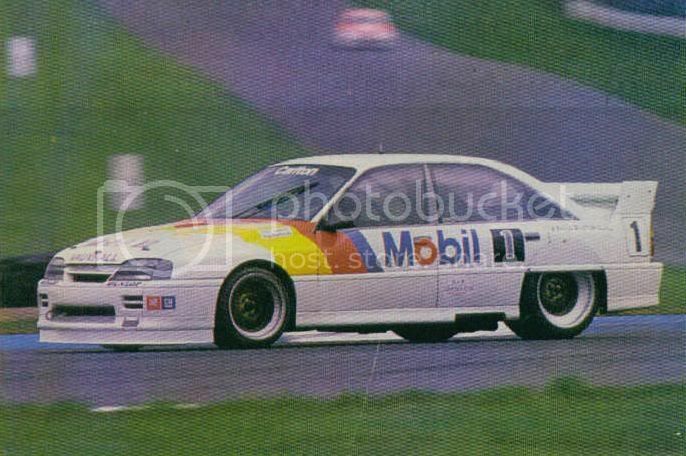 I don't know how to fully explain, Its something that was very special and these beasts only lasted for a few years due to engine sizes being capped at 2000cc's shortly after these monsters gained all the racing headlines here in the UK. We've not got anything like it now and i doubt we'll have anything like it ever again here in the UK! Kind of but remember the "Supercars" in australia have quite strict regulations. They probably make similar horsepower but use a prehistoric 5litre engine, and in the body they look no where near as awesome as the wide bodied Thundersaloons. WesBank V8 Supercars are capable of accelerating from 0 to 100 kph in 3.10 seconds and posting quarter-mile time of 10.8 seconds at 215 kph. Top speed is approaching 300 kph on extended straight-aways and lateral acceleration is 1.8g. Braking capability is 120 kph to 0 kph in 40 metres. Touring sedans and grand touring production sports cars produced in quantities of at least 1000 units per annum anywhere in the world. Convertibles are not eligible for competition. Models competing in the series include Ford Mustang, Jaguar XKR,Chevrolet Corvette, Camaro, Lumina SS and Opel Astra. The recognisable external features of the manufacturer's make and model must be retained while providing the necessary safety and performance modifications. The body is made of composites including carbon fibre, kevlar and fibreglass. The fitting of a front spoiler and a rear wing is permitted. All the cars utilise a purpose built tube-frame chassis with front engine and rear wheel drive. The maximum wheel base is 2625 mm and the maximum width is2050 mm. Only basic double wishbone type front suspension incorporating coil over shocks may be used. Only basic type live solid axle, three and four bar link, with radius rods running parallel, lateral location by Watt's linkage and coil over shock is permitted. All cars must use a Detroit locker-type rear differential. Wheels are three-piece modular aluminium, 16 inches in diameter. Tyres are controlled and only GoodYear Eagle racing tyres are permitted. The tyres are 13 inches wide on the front and 14 inches wide at the rear. Cold pressure settings are typically 1.5 bar front and 1.0 bar rear. Tyre temperature during the race is ideally between 80 and 90 degrees C.
The engine must be a product of the corporation of the make of car being used in competition. The engine must be based on a series production car V8 engine. Maximum capacity for 8 cylinder 2-valve engines is 6 litres and 8 cylinder multi-valve engines is 5.0 litres. Turbo-charging and supercharging is prohibited. The 8 cylinder 2-valve engines produce 450KW @ 7500 RPM and 680NM of torque @ 550 RPM. JERICO - Four forward speeds and a reverse. The base weight is 1150 kilograms. Sorry bit of a hijack, just comparing. and a couple for Phil too! Thanks for thinking of me Sean. 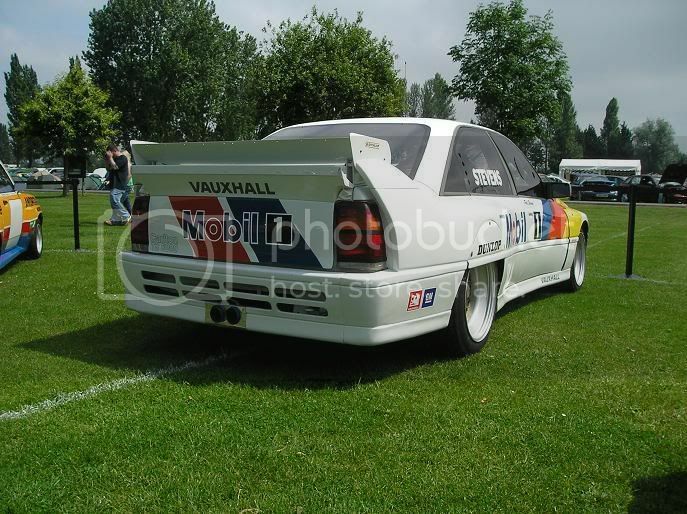 I love that VK Commodore. Is that Manta a beast or what! 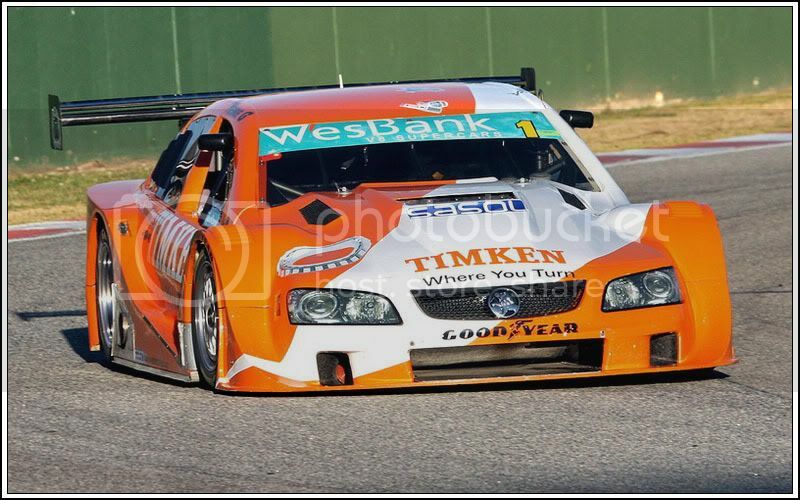 I'm sure others will accuse me of bias, but I still don't think you can beat the sound of the 5 lt Aussie V8! 014 Phil wrote: Thanks for thinking of me Sean. 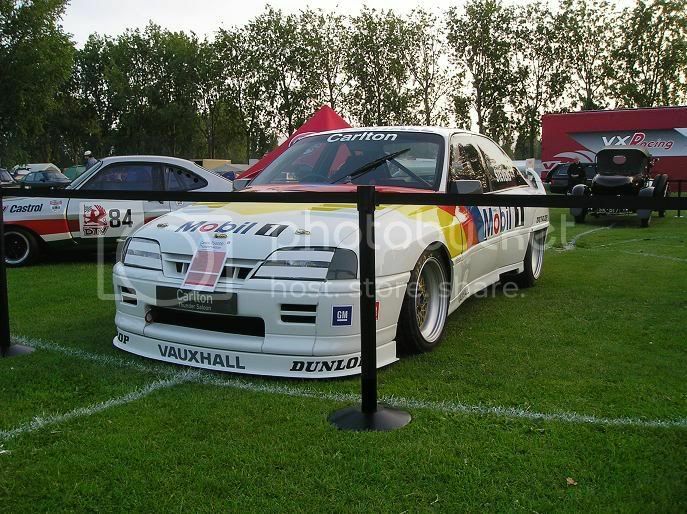 I love that VK Commodore. 014 Phil wrote: I'm sure others will accuse me of bias, but I still don't think you can beat the sound of the 5 lt Aussie V8! Was just thinking the same myself Nev!